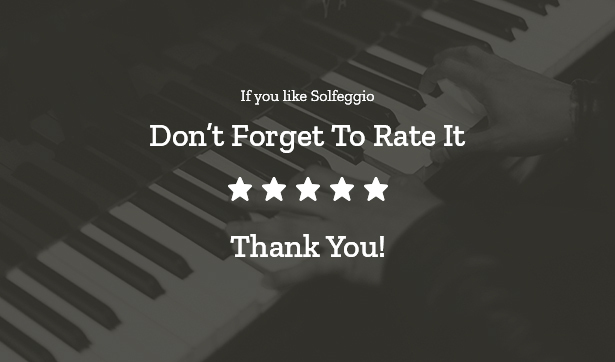 Solfeggio is a dedicated music theme with all functionality a school, college or other education institution needs. 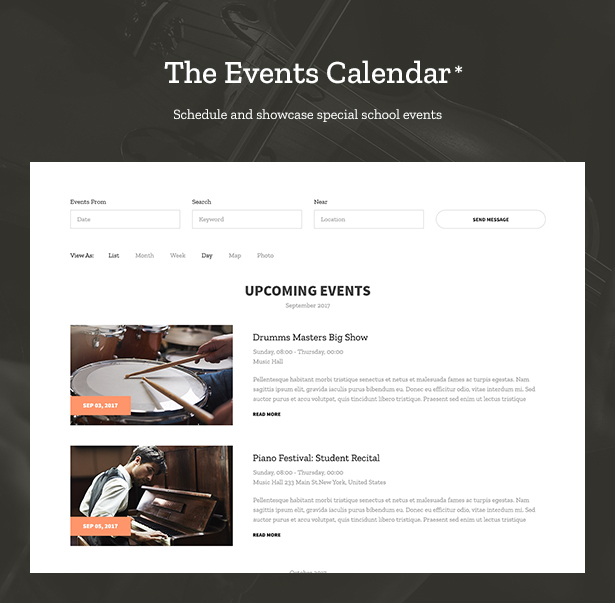 Music School theme includes events functionality delivered by The Events Calendar plugin to let you advertise special events like open concerts and contests. You can use a free plugin version or purchase the premium addon – Solfeggio music school theme has all the needed styling and integration for both. 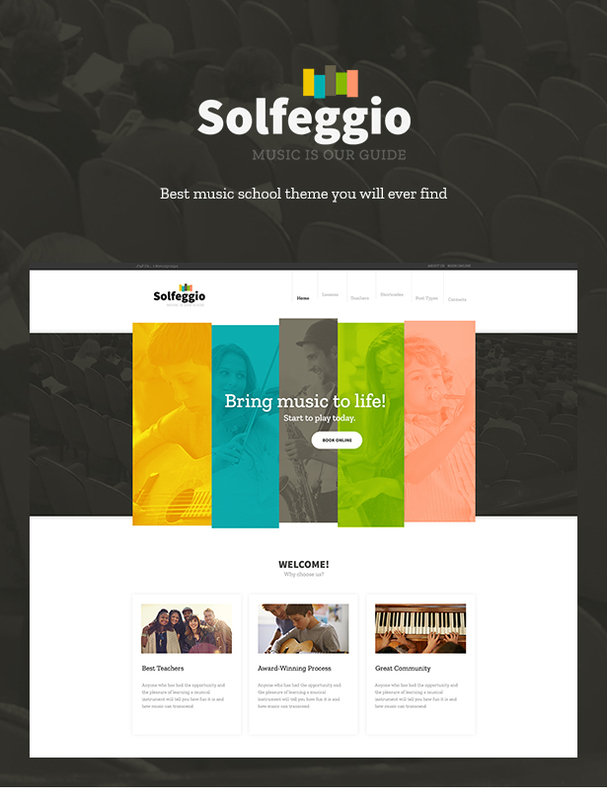 Solfeggio Music School Theme provides and easy way to showcase your school teachers and classes – lots of custom shortcodes are easy in use and ultimately powerful. Custom Visual Composer plugin offers wide functionality and diverse elements to build beautiful and fully customizable pages for your website. Custom Admin panel – we have greatly extended initial WordPress admin to provide you with more functionality that includes a wide variety of options and settings and provides maximum customization flexibility to help you create a school and education website with LMS. Layer Slider & Revolution Slider – this school, learning and education theme with courses, lms and Learn Press comes with two popular slider plugins included, a Layer and Revolution Slider, both have supreme functionality and breathtaking effects. No need to purchase them, it’s all in! 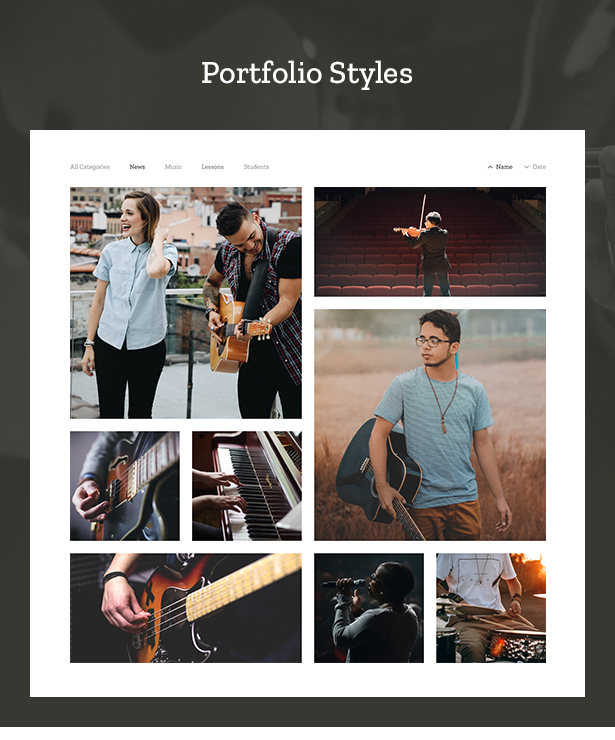 Responsive Layout – Solfeggio Music School – Education, School & Learning WP Theme has a responsive layout that will respond to your screen width and make content appearance be perfect on all devices, from large desktop screens to mobile phones and tablets. Advanced SEO for WordPress – this school, colldegem entertainment theme has an optimized code and structure, as well as fantastic Custom SEO options for every page and posts, allowing you to easily add important SEO meta data to all your website content. 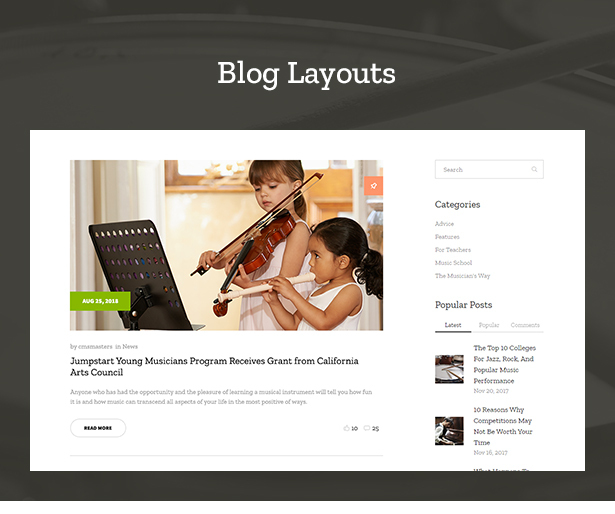 If you need to create a website for a school, learning and other education institutions, colleges, online courses and schools, Solfeggio Music School Education WordPress Theme will do the work for you.